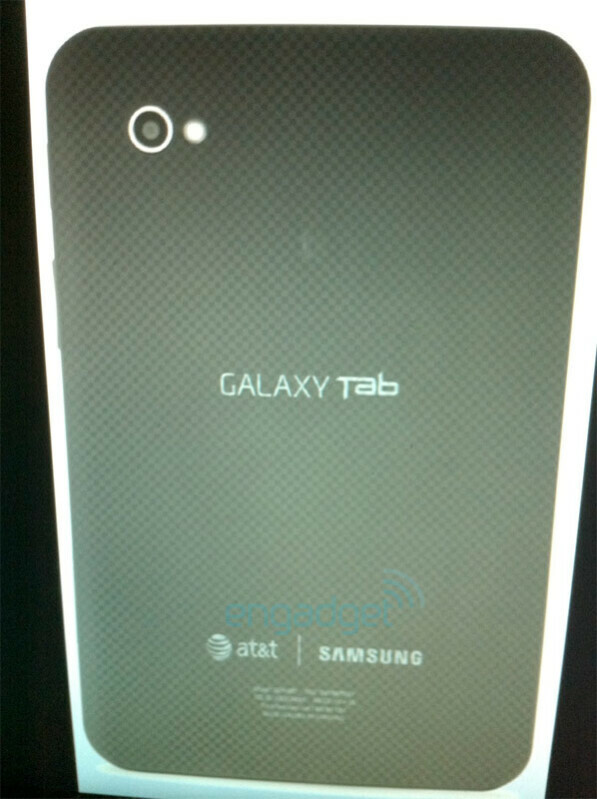 This past week, we reported that 3 out of the top 4 U.S. carriers are expected to offer the Samsung Galaxy Tab. Verizon, AT&T and Sprint are the three carriers in question, and we are happy to tell you that a picture of the back of the AT&T branded model has been discovered. The latest word is that the three tablets will be launched before December, which means that quite a few of these will be given out as holiday gifts this year. AT&T customers who can't wait to get their hands on the tablet better hope that the carrier doesn't make it a distinctively AT&T release like the networker did with the Motorola BACKFLIP. This holiday season, AT&T has some other stocking stuffers including a multitude of Windows Phone 7 handsets. A pair of Samsung models, the Cetus (i917), the Samsung Focus and the HTC Surround should be half of six models using Microsoft's new OS that the carrier will have ready for the holiday season. If Android or Windows Phone 7 just are not your thing, the BlackBerry Torch is expected to make a return engagement, but this time the portrait sliding 'Berry will be done up in all white, a red/black model and an olive colored version. Sounds like some heavy lifting for Jolly Old Saint Nick this year, courtesy of AT&T. And still zero Nokia's lined up. Who cares about Nokia here in the states? I have to agree. Nokia doesn't have much of a fan base here in the US. And with phones like the iphone and all the android phones poppin up like crazy and soon there will be WP7 phones... Do we really need Nokia? Survey says...No. Survey says... will never not be funny!